TigaByte has just announced the launch of a new software tool, called HyperNext Android Creator (HAC). Essentially, it will enable developers to build apps for the Android Market without the need for learning Java or dealing with the complicated Android SDK. 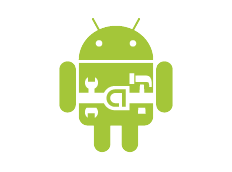 HAC brings the ability to create apps screen-by-screen, much like Google’s App Inventor. It’s mostly aimed at beginner developers. The free trial version of HAC can be downloaded from here, but it doesn’t allow uploading to the Market. For that, you’ll need the full version, which will run you a heft $59.95. At the moment, HAC is only available for Windows machines, but an OS X version is “coming soon”. We’re being told that HAC will be updated as Android continues to develop and evolve, which is more or less all the time. More on this as it develops. So, any beginner devs out there excited to give HAC a try? Leave a comment below or on our Facebook Wall! The full press release can also be found below. Thanks to Malcolm McQuoid for the tip. Software developer TigaByte Software today launched the first version of its Android software creation system for the Windows PC platform. The development is based on its long running HyperNext Studio for Windows and OS X.
HyperNext Android Creator (HAC) is an easy to use software creation system that allows almost anyone, to quickly start building their own Android apps without the need to learn Java or the complex Android SDK. HAC has an integrated visual designer for creating screens plus an easy to learn English-like language aimed at beginner programmers. Based on HyperNext it also has lots of potential for more advanced programmers. This first release of HAC lets users build apps for Android Market in just a few steps from writing their app to signing it. It uses the core functionality from HyperNext Studio and over the coming months will rapidly improve as more functionality is added to keep pace with the rapid development of the Android OS. A free trial version of HyperNext Android Creator can be downloaded from the website and allows Android apps to be built for both Android devices and the Emulator. It limits app run times to 5 minutes and does not allow apps to be uploaded to Android Market.